You know what kind of cookie time? It’s Girl Scout cookie time! For me, that means Thin Mints. I love Thin Mints, by themselves, straight out of the freezer. I love Thin Mints with ice cream. I love Thin Mints with my coffee! 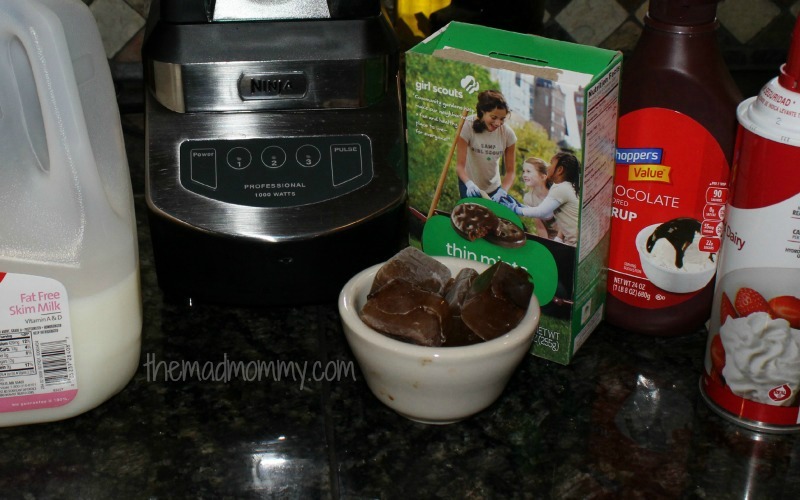 I love Thin Mints and coffee so much, that I combined them! This recipe is super easy, but I do recommend that you do something at least an hour in advance. I promise, it’s not hard, but it makes it so much better! At least an hour before hand, freeze some of your favorite coffee in an ice-cube tray! I used 6 cubes for this delicious beverage! 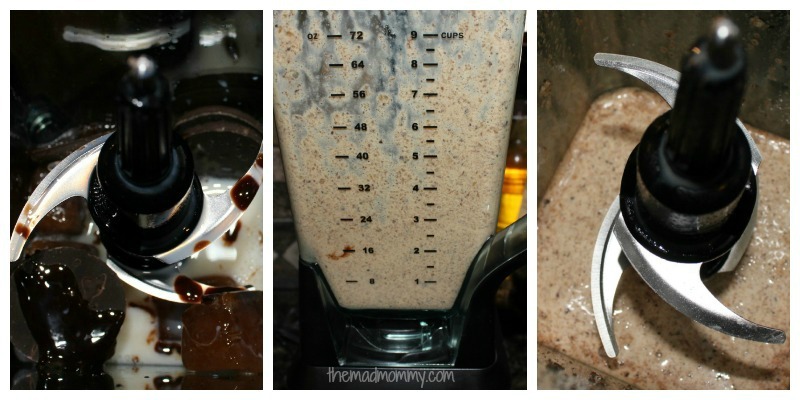 Put all of the ingredients inside of your trusty blender and blend until smooth! Sit down and enjoy this delicious, homemade frappe! 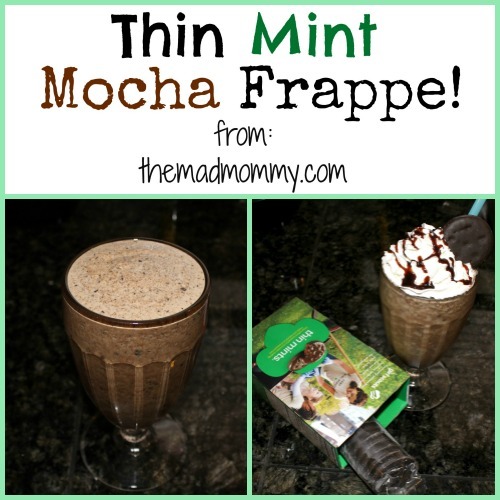 It’s Girl Scout #Cookie time and I’ve got a #ThinMint Mocha Frappe #recipe for you! What is your favorite Thin Mint recipe? Oh wow! This looks unbelievable. Yum! It is such a delicious treat! Haha, I know how you feel! Definitely try one of these! They are so yummy! Wow that looks good! Now if only I has some Thin Mints lol. Thin Mints are my FAVORITE! I eat them straight out of the freezer too. Sadly, I haven’t had them in a couple years because I never have cash when I see Girl Scouts selling them at the store. Oh my gosh…that looks so good!!! I hope the Girl Scouts are back in front of Publix next time I go shopping so I can make this!!! You had me at Thin Mints! This sounds fantastic I can’t wait to try it! Thin Mints are my fave too! I think blending them with coffee is such an amazing idea, after all I love mint mochas! I made Thin Mint ice cream last year and it was amazing. 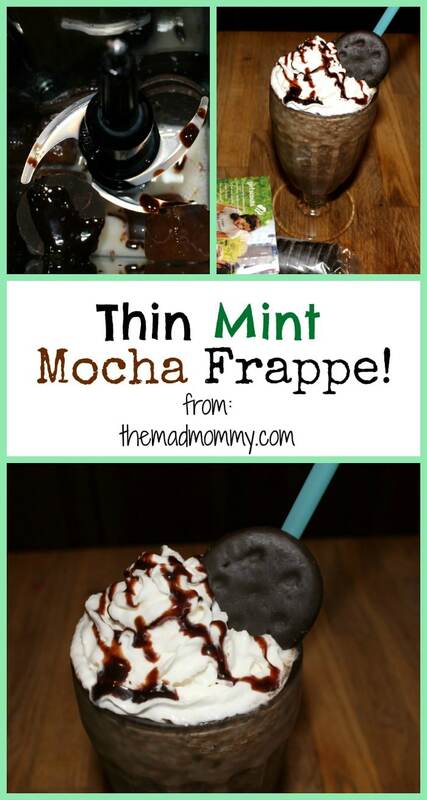 Maybe I’ll add a scoop to this drink and make the ultimate Thin Mint experience! That looks and sounds divine! And I don’t even like coffee!! Pure. Genius. 🙂 Bet it works for any of the cookies DELISH! Hi Echo, I am soooo trying this recipe. I love thin mints too, there is just the right balance of chocolate and mint in them. I add them when I make ice cream, I decorate cakes with them, but never have I though to add them to coffee. This will definitely be this Fridays treat. This would be one way for me to get my husband to have coffee. Hey, wait a minute. That means I’d have to share with him. Hmm. Better rethink this. Mm… I pinned this so fast the other day that my head spun. Oh my goodness I want one of these now!! It looks so delicious! I’m visiting from Together on Tuesdays blog hop. Sounds like a refreshing beverage! I love mint and chocolate. Will have to give this one a try! Shame on you! I’d easily become addicted to this recipe! We are so glad you shared with us at the Merry Monday party! We can’t wait to see what you’ve been up to at our next party! Love Thin Mints! Thanks for joining us on OMHG Wordless Wednesday! I’m with you, I love mint thins too. I would seriously gobble this up!! Well now I have never seen Thin mint cookies this way before!!! I enjoy the Samoas. I wonder what it would be like to turn some the GS cookies into cookie alls. Wonder if anyone has tired. Thanks for visiting to link up, and for sharing my post this week for Friday Feature @Oh My Heartsie Girl. My daughter just started selling girl scout cookies yesterday! I have to wait until May when they arrive, but I will be making this!! Yum! Mmmm…delicious!! Thin Mints are the best selling Girl Scout cookies and now they are on back order. So coffee and my favorite cookie! This looks like perfection to me. Thanks so much for sharing with the Tips and Tricks Link Party! Pinned! OMG like I needed something else to crave with thin mints. Have you ever just stored a sleeve of them in your freezer? I love them mostly frozen! 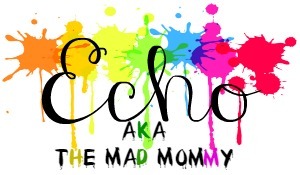 I’d love for you to share this post over at my Tuesday link up, if you’re interested. Oh yum. I LOVE thin mints!! Thanks for sharing at On Display Thursday! Oh, girl this looks so good. Thanks for giving me a reason to buy girl scout cookies. WOW this looks amazing! Your coffee recipes are my FAV!